3D Design Bureau was established in September 2014. Formerly, 3rd Dimension, the company was rebranded to 3D Design Bureau to accommodate the range of exciting new 3D services we now offer. The business draws on 16 years of experience as it grows and develops into a unique one stop shop for everything 3D. We are an experienced, dynamic and forward thinking 3D Studio. We are a talented, coordinated team of skilled individuals consisting of architects, engineers, BIM experts, 3D artists and post production designers. We work closely with all our clients, applying our ethos to each and every project. We ensure that their project goals are accurately met to the highest standards possible, in time and on budget. 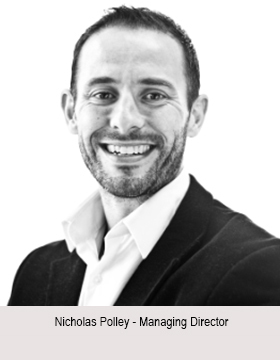 Our MD is Nicholas Polley who has been running and developing the company since 2000. 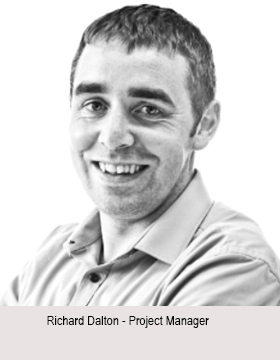 He is a Building Services Engineer from Bolton Street DIT. What Type of 3D Do We Offer? We specialise in 3D processes that include digital 3D Modelling, BIM Modelling, 3D Visualisation, Virtual Reality and 3D Rendering. We offer a range of 3D services and deliverables across our integrated 3D Departments of Architectural Visualisation, BIM, Virtual Reality, 3D Product Design, 3D Graphics and Virtual Shopfronts. Have a browse around our website to learn more about us and our 3D services along with samples of our work. It’s very simple. Our 3D work improves design, enhances communication, strengthens decision making and maximises marketing strategies. Individually or collectively, these project objectives result in the saving of time and money. From Architectural Visualisation & VR to BIM and 3D Product Design, if your project is struggling to be understood, then you require our help. Get in touch! 3D Design Bureau are recognised as a leading 3D Studio for quality and service. Our costs reflect competitive value considering the high standard, level of detail and accuracy we achieve in all our 3D work. When choosing us for your project it is our PROMISE that it will be delivered to the highest standard possible. We will meet your individual requirements and objectives delivering in time and on budget. Our service and attention to detail is of the highest quality and our level of accuracy is second to none. 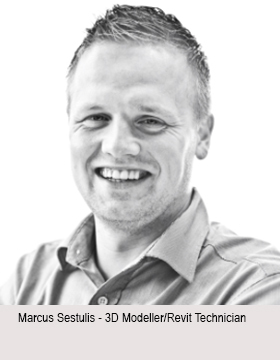 When it comes to 3D we are recognised by our clients and peers as qualified experts. This recognition is extremely important to us and validates the accuracy of all our work for design, planning and marketing purposes. We confidently stand over all of our 3D work which inspires confidence in all of our clients. On every project, no matter how big or small, 3D Design Bureau commit to working closely with each client and their respective design team. This close working relationship ensures we accurately interpret all designs and ideas and that we produce deliverables to the highest standard possible. We promise to deliver high end services and deliverables on every project. This can ONLY be achieved through a close working relationship with our clients and their design team. 3D Design Bureaus’ dedicated design team is made up of architects, engineers, 3D Modellers, 3D Artists and post production designers. 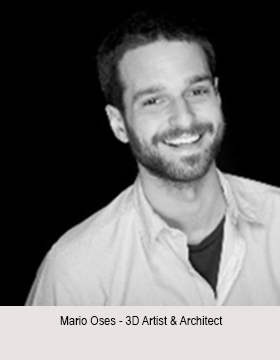 Our 3D team brings a wealth of industry, technical and 3D experience and knowledge to the table. We are continually researching new and improved ways for our 3D team to approach projects and we are constantly upgrading our hardware and software to meet the demands of our clients. Our technology, skilled personnel and workflows ensure deadlines are always met on every project. 3D Design Bureau have 15 years experience and a proven track record working on a wide range of projects across all of our six integrated 3D Departments. More often than not we are required to work to tight deadlines. We have NEVER failed to deliver. Our work is an invaluable design, planning and marketing tool due to the high level of accuracy, quality and photorealism we achieve in all our work. Our work continues to assist clients in the areas of improving design, determining potential design flaws, securing planning permission and enhancing marketing and presentation. Our experience is the foundation to strong client partnerships and the delivery of high quality service and deliverables. No matter what your 3D requirement is, we have the solution for you. Our mission is to facilitate a wide range of industries and professions delivering quality 3D solutions across a number of 3D departments. We continue to add new 3D services and deliverables in order to meet the needs of our clients in this ever evolving industry. When you think 3D, think 3D Design Bureau. Tiernan Properties are happy to recommend the services of 3D Design Bureau. They have worked on several schemes for us and we have found the quality of their work and the quick turnaround from architectural drawings to final renderings to be top notch. Nick and his team offer a very efficient service and we wouldn’t hesitate to recommend them to others. DTA Architects have worked successfully with 3D Design Bureau for over 3 years, on various new build projects ranging in type and scale, including residential, an aparthotel and large scale student accommodation developments in Cork and Dublin. We have consistently found 3D Design Bureau to have provided a high quality professional service. They are transparent at the outset on the timeframes required for delivery, but are always wiling to work with us and our clients to ensure that deadlines are achieved. We've established a working relationship that facilitates our input at appropriate stages in the modelling and rendering stages, achieving an efficient and streamlined process. We have no hesitation in recommending the studio. Bridgedale engaged 3D Design Bureau to prepare Computer Generated Images in support of a number of planning applications recently. Nick and his team produced high quality, accurate images often within tight timeframes. I have no hesitation in endorsing them and look forward to continued quality service in the future. Jones Lang LaSalle are happy to recommend the services of 3D Design Bureau. They have executed numerous commissions for us and our clients and we have always found the standard of their 3D visualisations and renderings to be very realistic and the quality of their service delivery excellent. Nicholas and his team deliver a timely and efficient service which I am happy to recommend to my clients. We strive to reach a quality within our work that not only clearly communicates our client’s designs, ideas and thought processes, but does so in an accurate, technical and photo-realistic manner. Our work brings our clients into a virtual world of future designs as well as ones that replicate the ‘As Built’ environment. The work we create is a tool to maximise our clients goals and objectives and their communication processes. Whatever the requirements of our clients may be, we work closely with them, as a team, to achieve and surpass them. 3D Design Bureau are looking for skilled Revit modellers to join their team. The successful candidate/s will fill a role within the company that will help further develop the continued growth of the fast paced 3D studio and bring added value to the company’s current 3D services and deliverables. The successful candidate will have expert knowledge in Revit 2015 or higher. He/She should be able to demonstrate this knowledge and state how long they have been using the program. In depth knowledge of the program is a must. Candidates should state which disciplines they are strong and/or weak in – Architectural / Structural / MEP. Candidates should demonstrate their ability to be able to bespoke model and not just work from standard Revit families. Due to the nature of our business, knowledge and experience in Revit Architecture is a must for this position. We are a complete 3D Design Studio so knowledge of other related programs such as CAD, 3ds Max, Vray, Navisworks etc. is an advantage but not a requirement. However knowledge of how Revit models can integrate within particular packages such as 3ds Max and Navisworks is important. Having knowledge and experience of working with Laser Scan Point Cloud data would be desirable due to the projected growth of our Scan to BIM service but is NOT necessary. The successful candidate should illustrate, through his/her portfolio, their level of experience working on projects using Revit. Detailed information on projects should be supplied. Having commercial experience in the AEC sector is an advantage but not essential. It would be an advantage for any recent graduates applying for this position to show they have worked in a commercial environment for at least 3months at a time during their studies. Experience in other programs should also be demonstrated. NOTE: Presenting a good portfolio of work will be a distinct advantage. The successful candidate/s will need to be able to hit the ground running and integrate into a team and collaborative environment. He/she will be expected to be an excellent problem solver but at the same time show initiative to work on their own. We are a company that like to receive input from all team members and demonstrating how you have brought this and other added value to previous positions and roles is an advantage. 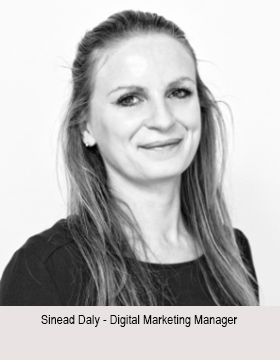 We like all our team members to keep up to date with all things related to our industry and expect them to be forward thinking. Our office is a warm friendly environment to work in and whilst skills and experience are vital possessions for each role, the right personality and attitude goes a long way. So sell yourself to us! You MUST be eligible to work in the Republic of Ireland. Unfortunately, we cannot consider anyone who does not fit this criteria. Send email to recruitment@3ddesignbureau.com to express your interest in the position. 3D Design Bureau are seeking a Developer – Unreal Engine VR & Interactive to be responsible for developing interactive experiences for virtual reality and augmented reality experiences geared towards the Architectural, Engineering and Construction sector. The successful candidate will be expected to dive straight in and pick up on the level of VR that has already been developed to date within the studio. There is a clear vision as to where the company is heading with VR and #team3DDB are looking for a passionate and talented individual to join us and become an integral part of the journey. VR hardware of choice at present in the studio is the Samsung Gear and Oculus Rift so experience in these kits are a distinct advantage but not a deal breaker! #Team3DDB deliver high quality design, planning and marketing solutions to clients and the successful candidate will be expected to embrace the ethos of the studio and work in a collaborative team environment. They will be expected to deliver the studios current VR vision bringing client projects to launch, on budget and on time. Specific responsibilities include maintaining and further developing existing VR pipelines that are in pace through building rich, dynamic interfaces using Unreal Engine and leveraging technologies like as previously mentioned Samsung Gear, Oculus, Google Cardboard and Hololens. Understanding of 3D modelling and visualisation techniques and workflows is important including knowledge of associated 3D software for asset management such as 3DS Max and other Autodesk software. Maintain and further develop immersive experiences in Unreal Engine/Unity 3D to be packaged and for custom client interactive virtual experiences. Note: The studio has developed VR pipelines from which to work from and build/develop upon. 3D modelling techniques (baking, mesh optimization, LODs) for viewing in VR within the hardware of choice. Be a team player! Work collaboratively and creatively with fellow team members and management to brainstorm new interactive experiences with current and evolving virtual reality/augmented reality devices coming to market. Develop GitHub procedures, manage and organise current code and create new code and related databases in a secure and well-documented manner. Manage and handle app deployment across mobile and desktop. Ear to the ground in relation to the latest tech and trends around VR. Adhere to company best practices and perform other duties as assigned by management. Experience with Unity is a plus. Minimum 2+ years of Unreal Engine 4 including blueprints and C++ proficiency and implementation. Sample work of immersive/experiences created entirely in Unreal. Experience packaging projects for delivery for Windows, Oculus Rift and Samsung Gear is a plus. 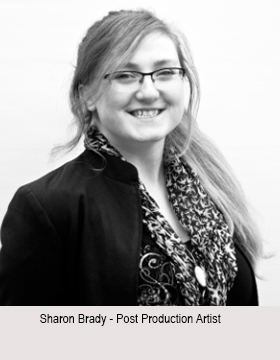 Experience with Git and other developmental workflow in order to develop best practice within the studio. Basic to intermediate Adobe Creative Cloud (Photoshop, Illustrator, InDesign, After Effects, Premiere Pro) understanding. Understanding of 3D modelling and visualisation techniques and workflows is important including knowledge of associated 3D software for asset management such as 3DS Max and other Autodesk software. Ability to bring new ideas to the studio in and around VR experiences. 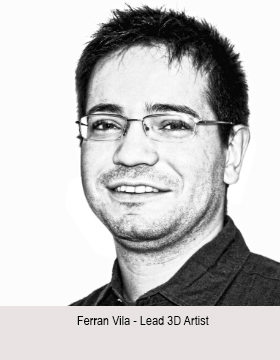 A strong passion for VR and the 3D visualisation industry. Team player and excellent communication skills an absolute MUST! There is no I in #Team3DDB! Bachelor’s degree or higher in Computer Science, Computer Engineering, Software Engineering, Math, or related field is a plus. Fill out our online form across or email to recruitment@3ddesignbureau.com to express your interest in the position. Email: recruitment@3ddesignbureau.com or Call us: 01 2880186 – we look forward to discussing the possibilities.